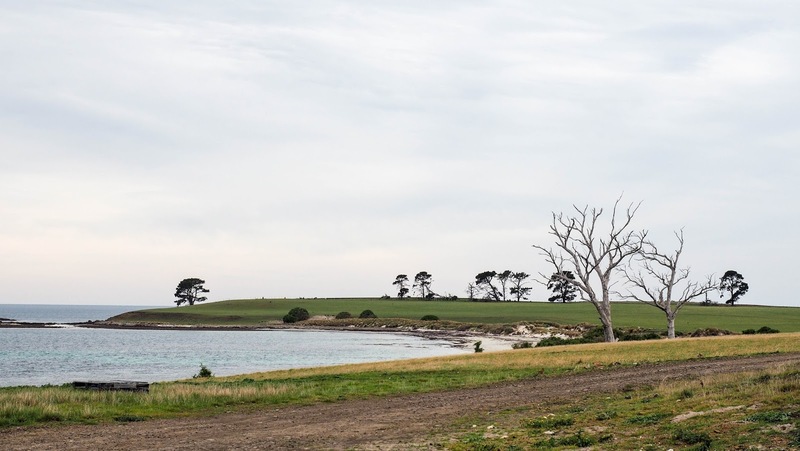 When you stand on the windswept shores of Great Oyster Bay on Tasmania's east coast, where lush green pastures meet white sandy beaches and the crystal clear blue waters beyond, you know you're in a very special place. You breath deep and fill your lungs with the fresh briny air and everything seems right with the world. Then you sigh and wish you could take that feeling away with you in your pocket. But that's exactly what I did. In a little match box filled with Tasman Sea Salt. The seas around Tasmania are some of the cleanest and nutrient rich waters in the world, and it seemed obvious to Alice Laing and Chris Manson that it would make a very fine sea salt. So that's what set out to do. Quit their London jobs, headed to the Tasmanian east coast and figured out a clever way to transform a little piece of the Tasmanian ocean magically into tasty white crystals. 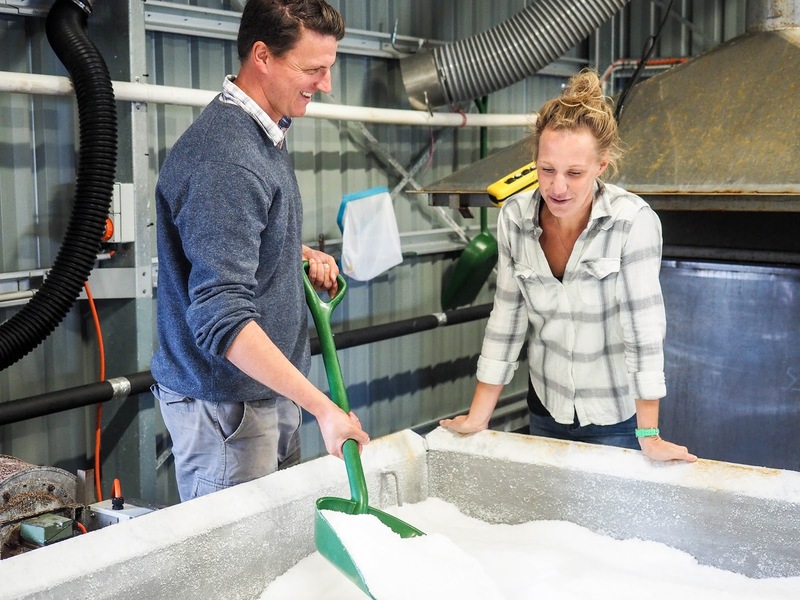 Working with a Tasmanian engineering company Alice and Chris created an efficient and environmentally friendly process that combines age old salt making traditions with clean energy technology to produce delicious sea salt flakes. The process is simple, just evaporated sea water that leaves flaky crystals of salt. The only waste product is fresh water which they collect and use to wash down the plant and make the odd cup of tea in the morning. Green credentials aside, it's the incredible depth of flavour that has chefs and food lovers alike raving. Rich in potassium with lower levels of sodium than many other salts, it contains all the trace elements you'll find in Tassie's pristine waters. So that when you put those white crystals on your tongue, you're instantly transported back to the shores of Little Swanport. When I met Alice and Chris at a recent visit to their salt works, I couldn't help but love their story, (especially the bit about how they met at Glastonbury). It's a true reflection of the vibrant and creative food industry in Tasmania and it ticks all the food lovers boxes for me, innovative, green and most importantly a delicious product. People who produce food, follow their dreams and do great things are always inspiring to me. They are the people I want to support by buying their products and giving them a shoutout whenever I can. 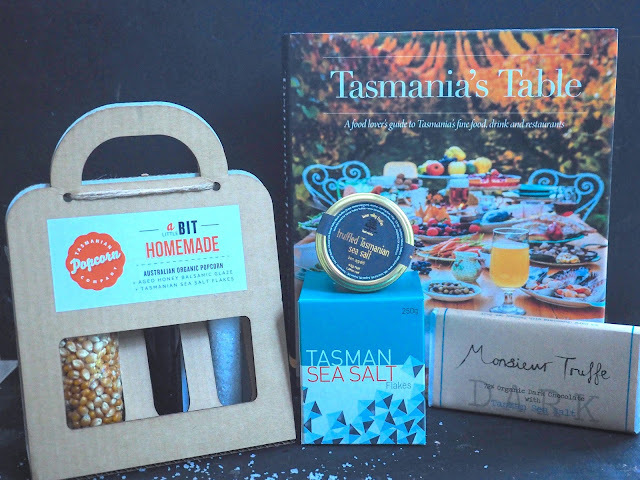 So, to help spread the salty word on this special Tasmanian product I'm hosting a giveaway so you can have the chance to taste the Tasmanian seaside on your morning's eggs. Competition closes 5pm Friday 22 July 2016. Read more about their story here and the fascinating (if not gruesome) history of salt works in Tasmania. This is not a sponsored post - I only feature products that I love and I think you will too. UPDATE: The competition has closed. Winners were picked by a random number generator. Congratulations Melissa, Kylie and Leanne. Yum! What wonderful products and a great story. Love to be transported to Little Swanport, I'm up for a journey.❤️ This State. Congratulations Melissa! You are a winner! Tasmania, she is a beauty! Yum! I've driven past their driveway many a time, it's such a beautiful area. Is a great combination with no fault! This would be amazing to win for this little chook! What a great success story and I am dying to know more about how they met in Glastonbury. How did I not know about this? Looks and sounds awesome, can't wait to get me a taste. i would be delighted to be transported to Tasmania in this way,bliss ! What a gorgeous giveaway. Beautiful morsels of Tasmania. (And a give away to tempt the lurkers to delurk, also lovely). Am looking at the Tasmanian Sea Salt box in our kitchen right now. Pure taste that compliments any food. The idea of combining with chocolate almost a perfect fantasy! Only thing missing one's lover to share! I love Tasmania, I love the innovation, the creativity and especially all the beautiful food. I so wish I could move there today! This is a lovely giveaway! What a great giveaway, one that I would love to receive. 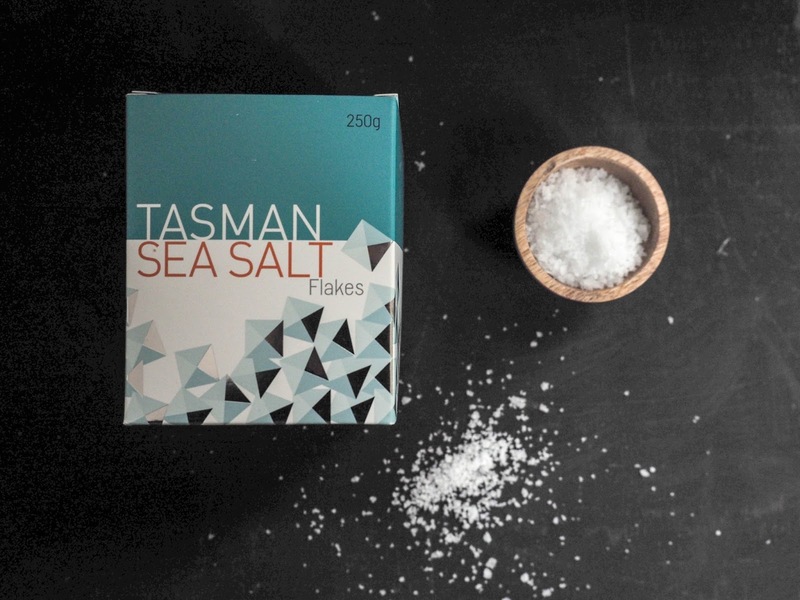 Why am I not seeing Tasman Sea Salt at Coles or Woolworths? what a heart warming story! It is wonderful to see Alice and Chris' dream turning into a successful reality in such a beautiful part of the world! it's a perfect thank you gift! Thank you for introducing me to a great Aussie product. I had never heard of them before, but I will follow it up. Thanks! I am going to try and find a place to buy this salt in Melbourne. These stories warm my heart, I love to hear about people completely changing their lives and following their dreams. They sell this salt in the cafe across from my work! Now i know all about it I might give it a whirl. Fantastic - this is the kind of venture I believe to be the way to secure a bright future for Tasmania. I love Tasmania and I love salt! I also really like the design on the box and...chocolate! Congratulations Kylie! You are a winner! Tasmania is foodie heaven. I would love that book. Great post! 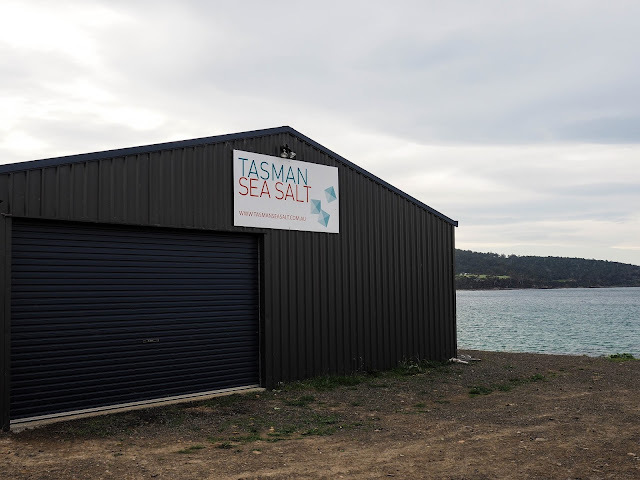 I have to say, I am quite the conniseur of sea salts and would love to try some Tasman Sea Salt! Oh yay another goodie to find when we visit Tassie next week. Yummo! I'd love to win this, what an amazing prize! Whilst I can't afford to take a trip with the family to visit your gorgeous part of the world just yet, I'd be chuffed knowing I was cooking with some of Tassie's amazing produce! I used to use Murray River Salt but I'll be keeping a look-out at the shops for some Tasman Sea Salt from now on. Love my salt! Love the story behind the salt! I admire those who are brave enough to pack up their everyday life to follow their dreams. Thanks for the giveaway. That is a great story of the possible freedom of the human spirit. I want to go to Tasmania so much! What a great story! Making the food dream come true. 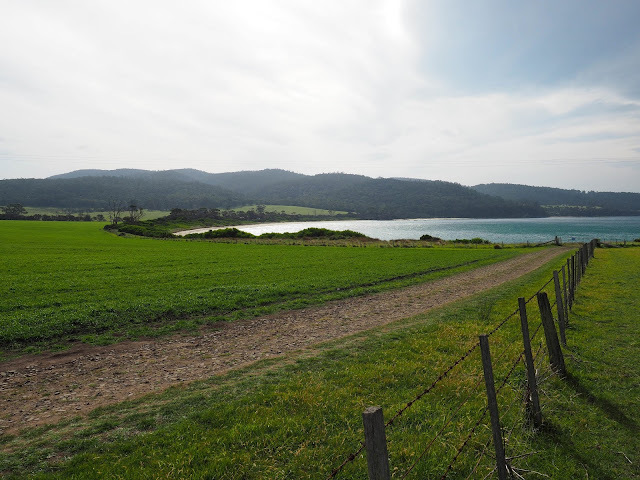 Tasmania is such a wholesome beautiful place, no wonder the best products and produce come from the little Island. My husband and I lived in the NT for many years but found the heat rather draining as we got older. My dream was to move to Tasmania (even lurked real estate websites to find places to live - loved the Cygnet area). My husband didn't think we could handle the cold so we measured halfway between Darwin(NT) and Cygnet(TAS) and decided on the Sunshine Coast (QLD) which is exactly on the halfway mark. That is were I still am today. Love real sea salt, not that keen on chocolate but my elderly father loves the stuff - should try and find this for him. Thankyou for your blogposts - always an interesting read. Himalayan rock salt, pffft. So good to know that there is something more local, green and tasty I can switch to. It's Wonderful that you are giving a shout out for great Aussie goodies. Thank you for the chance to win. Salt and chocolate from Tasmania. Sigh! Thank you for your blog and the chance to win. Just read the article in the lastest 'Mindfood' magazine, a beautiful story and such a hardworking and dedicated couple. I always include a box of this salt when sending back goodies to family in the UK & NZ - so proud to be living in Tasmania!! I hope to make it to Tasmania one of these days...sounds enchanting! That's a nice prize too. 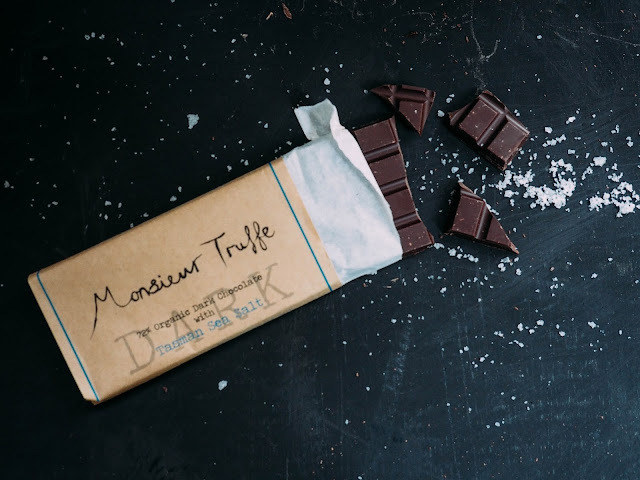 Fantastic sea salt + chocolate = heaven! Thank you, I live in the Huon Valley and I love buying great products from small family companies in our own state. Our innovative local food industries are growing and producing amazing food, and the more promotion the better! I love everything about this. It is heartwarming to read about folks who change their lives to pursue a dream. The benefits for us is this amazing Tasmanian salt. 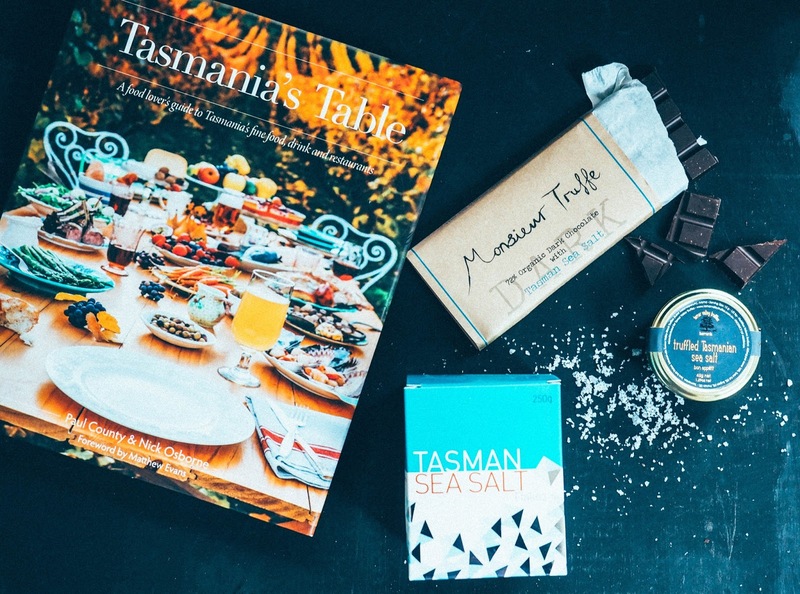 Such a lovely giveaway full of Tasmanian treasures. I'm off to read the link to the history. Thank you for sharing. 100% Tasmainian. Couldn't get any better. Aren't we lucky to live in beautiful Tasmania! And our favourite snack at home is chocolate pop corn with just a pinch of sea salt, this hamper would be just perfect for it. Thank you Michelle for sharing this story with us. thanks for sharing this story - its always good to read about new food enterprises !! fingers crossed for trying some salt and of course chocolate !! Congratulations Leanne! You are one of the winners! What a stunning assault (or should one say asalt) on the senses! Discovering a place like Tasmania is a paradise we British dream of. I moved here from the UK and we really are living our dreams, sun, sea, incredible landscapes, pure food, air and salt of course. So the wind-driven white horses on the sea of Great Oyster Bay have become translucent little flakes of salt. This honestly is the kind of clever industry that makes me so proud to be a Tasmanian! 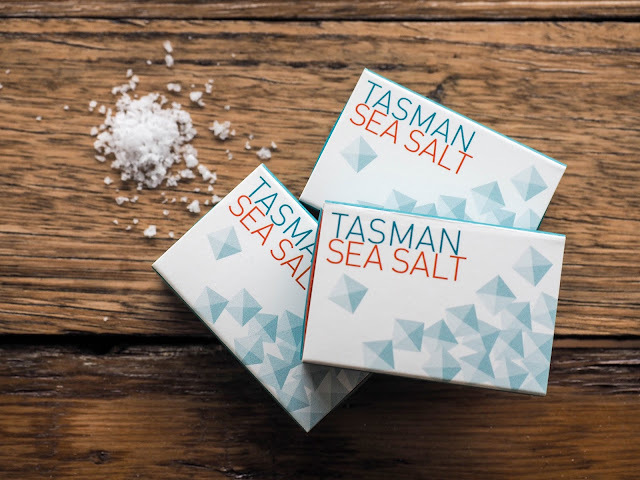 TASMAN SEA SALT AND TASMANIA !!! Can't wait to visit later in the year. Fantastic producers of innovative amazing food. Good Luck to all of the new foodies.